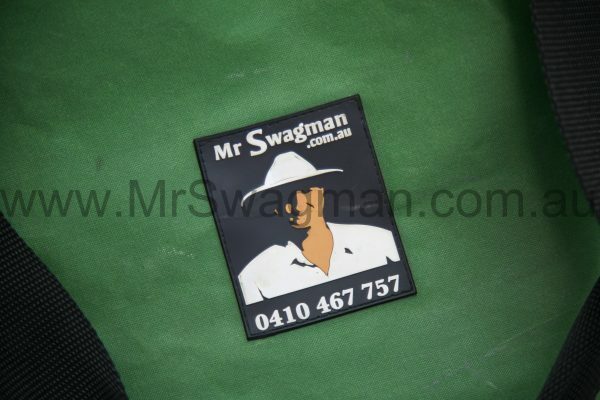 Note: Minor changes in colour and design may occur from time to time, which does not constitute error or fault of any product. 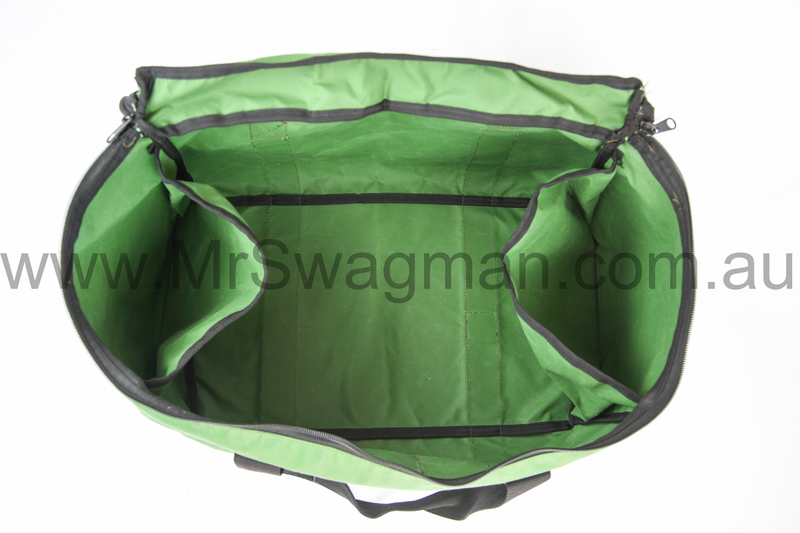 All dimensions are within applicable tolerances and may vary slightly. 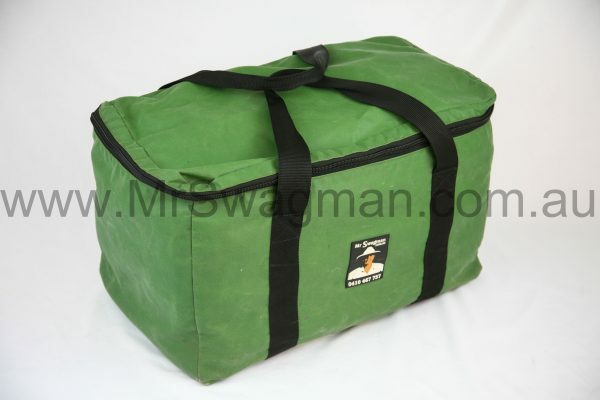 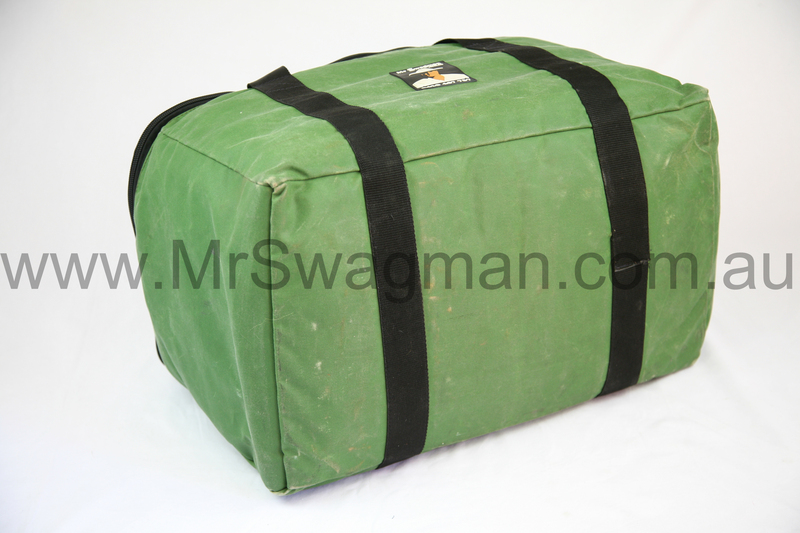 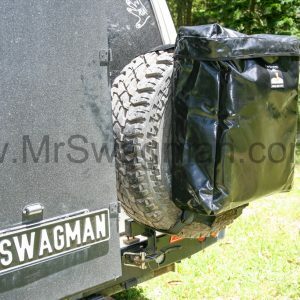 Mr Swagman’s canvas luggage bags are the ideal choice for carrying your cloths and general camping gear regardless if you are out camping, catching a plan, train or even riding a horse. 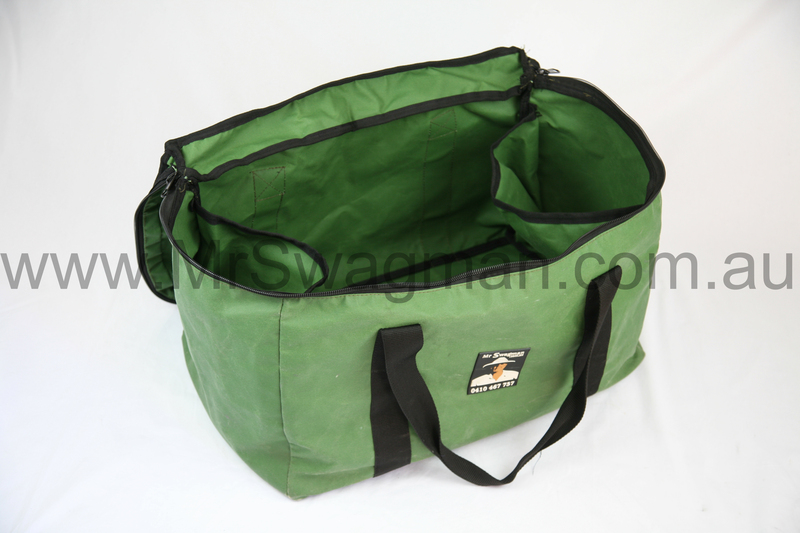 The medium bag is an ideal size for weekender and shorter holidays, while the larger size is ideal for those longer trips or for when you need to take extra gear with you. While we mainly designed and made these canvas bags for luggage, we have also found them perfect for carrying camping gear, 4WD recovery equipment and as a tool bag. 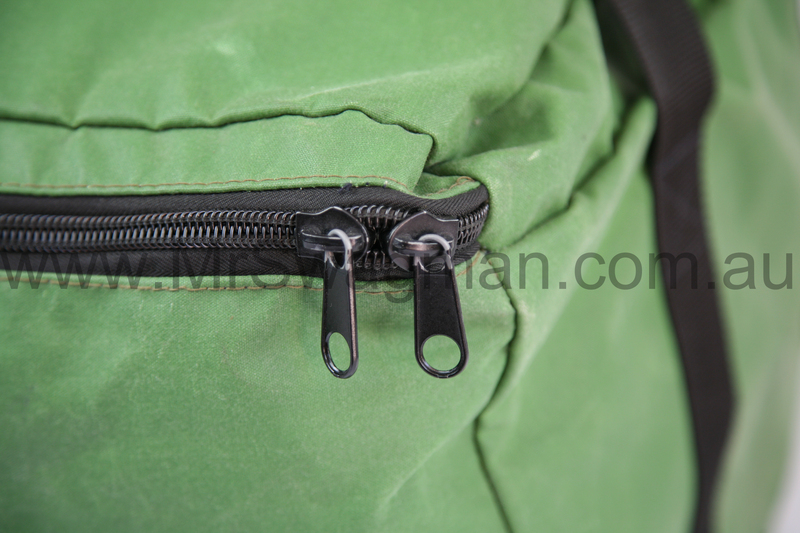 The wide webbing carrying straps are reinforced to the canvas bag and completely circle the bag to ensure maximum strength. Twin zip runners allow the bag to be locked. The zippers run around three sides allowing the whole top lid of the bag to flip to one side to allow easy access to the contents. 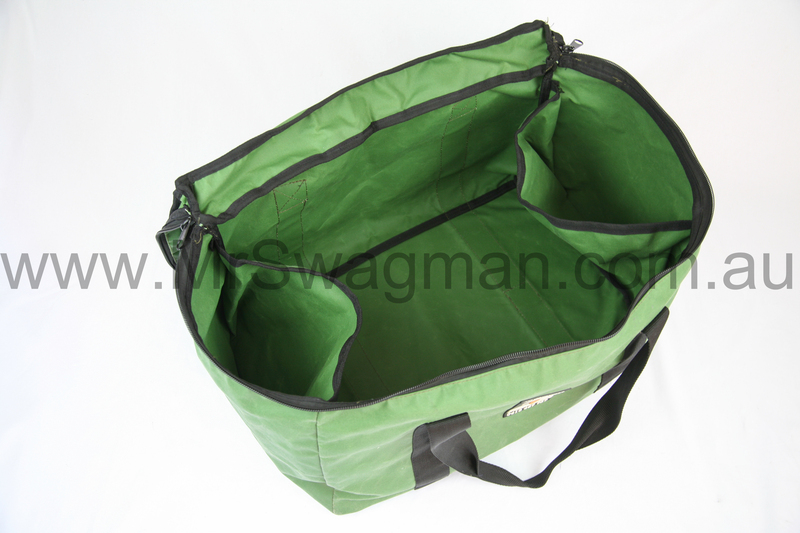 Available in green canvas only.